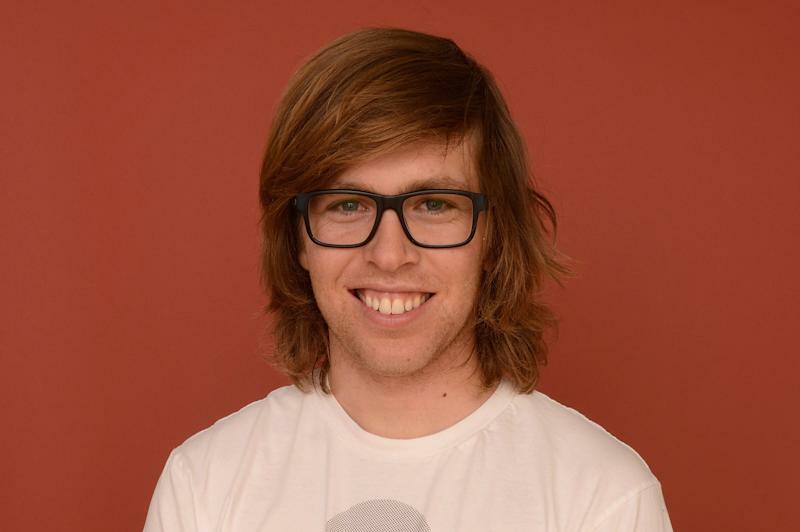 On New Year's Eve 2009, five days before the 2010 Olympic snowboarding trials, 22-year-old Kevin Pearce was training in Park City, Utah, when he slammed his forehead into the icy wall of a half-pipe during a practice run, suffering brain trauma so severe he had to relearn how to walk and talk. "I look like a dead man," Pearce told Outside magazine in 2011 while viewing a photo of his limp body at the bottom of the pipe. "I look like a ... corpse." Pearce's three-and-a-half-year road to recovery — from corpse to commentator and international spokesman for traumatic brain injury awareness — is the subject of "The Crash Reel," a new documentary directed by Lucy Walker premiering Monday at 9 p.m. on HBO. During his rehab, the New Hampshire native and longtime Vermont resident held onto hope he would return to competitive snowboarding, despite doctors telling him he could die. "There was a long period of time where I thought I was filming someone who was committing suicide," Walker told USA Today. "And Kevin would get really badly hurt again because he was at such grave risk. I had no idea how it was going to turn out. I was very worried for a very long time, a year, that we wouldn't have a happy ending." Pearce now admits he was being stubborn — which is, of course, a necessary part of being an extreme athlete. "I was holding onto it and was kind of not really trying to let it go and not believing that I had this change in my life," Pearce, who still has memory loss and dizziness, said in January. "It wasn’t until I got back on my snowboard and could see where I was at that I really understood I needed to change my lifestyle." That was in 2011, when doctors cleared him to snowboard for the first time since the accident. "I used to take it for granted," Pearce said on the chairlift on the way up the mountain. "I used to be like, 'God, why is this lift so slow? Get me to the top!' Now it's just nice to be up here." Pearce, the son of glass artist Simon Pearce, launched a fund that supports families of victims of traumatic brain injuries. Simon Pearce designed a "Love Your Brain" glass bowl — with 100 percent of the profits from its sale going to the Kevin Pearce Fund — and the accompanying "Love Your Brain" campaign focuses on TBI awareness and "the need for everyone to recognize the importance of his or her brain." "I’d never heard of a TBI," he said at Sundance. "I never knew what a traumatic brain injury was." Pearce, who was wearing a helmet when he crashed, has become an unlikely safety advocate in a sport that carries plenty of risks. Three weeks before his fall, Pearce suffered a concussion during a preliminary run at an Olympic qualifying event in Colorado. The half-pipe where Pearce crashed was the same one where Sarah Burke, a 29-year-old extreme skier, went into cardiac arrest after suffering a tear in her vertebral artery during a training accident in 2012. Burke was resuscitated but placed in a medically induced coma. She died nine days later. Pearce returned to Park City earlier this year to promote the film at Sundance, but didn't return to the site of the crash. "I have no desire to go back there," he said.